When it comes to family SUVs that can cope with everything winter has to offer, the choices have traditionally been limited to diesel. 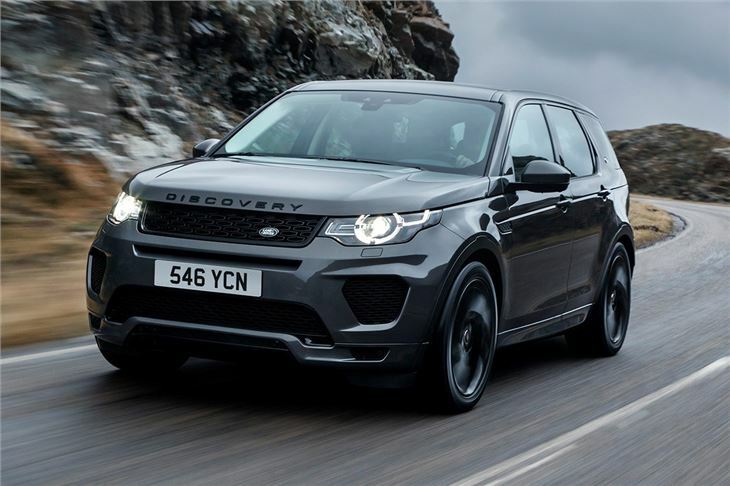 However, that could be about to change, because Land Rover has revised the Discovery Sport for 2018 and added a new range of Si4 petrol engines. With diesel's reputation taking a battering, it's perhaps understandable that manufacturers are adding petrols to their family SUVs. After all, petrols produce less harmful tailpipe pollution and don't require a potentially troublesome diesel particulate filter (DPF), which means they're perfect for drivers who don't cover many miles. The Discovery Sport Si4 uses the same four-cylinder petrol as the Jaguar F-Pace, although performance differs slightly with the two versions of Land Rover's 2.0-litre engine producing 240PS and 290PS. Claimed economy - as you might expect, for a petrol SUV - is at the lower end of the spectrum. The 240PS version, for example, will return an official 35.3mpg while the more-powerful 290PS is advertised at just 33.6mpg. Expect considerably less in the real world. The 2.0-litre petrol Si4 engine itself is extremely good. Lifted from the Jaguar range, it provides smooth and refined power delivery, while noise and vibrations are minimal. In fact, the engine only emits a sound when being pushed hard to overtake slow moving traffic or to join a fast flowing motorway. The rest of the time it hums along with a low pitched rumble. Torque is plentiful and the nine-speed automatic gearbox - fitted as standard on all petrols - does an excellent job of distributing power to all four wheels, with intelligent up and down shifts. Both petrol engines are swift - even the 240PS version will cover 0-62mph in seven seconds - and the nine-speed 'box is always up to speed, which is impressive given that the 290PS engine develops 400Nm of torque. As you would expect from a Land Rover, there is a host of off-roading jiggery-pokery. 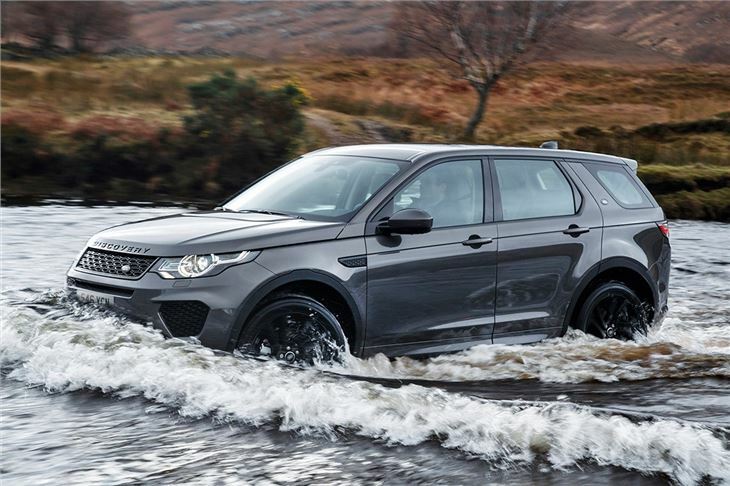 Few drivers ever take their SUVs off-road, but four-wheel drive is fitted as standard, along with selectable driving modes that will allow the Discovery Sport to plough its way across everything from gravel to grass or sand and snow. Towing capacity is also impressive at 2000kg. 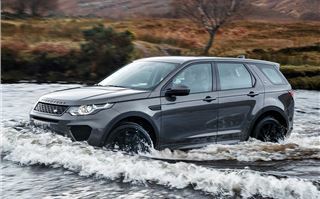 The raised driving position provides a commanding view of the road and, on a wintry rural B road, the Discovery Sport is firm footed and reassuring. 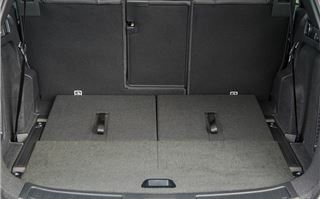 The 5+2 layout is extremely smart, with a third row of seats stored neatly under the boot floor. 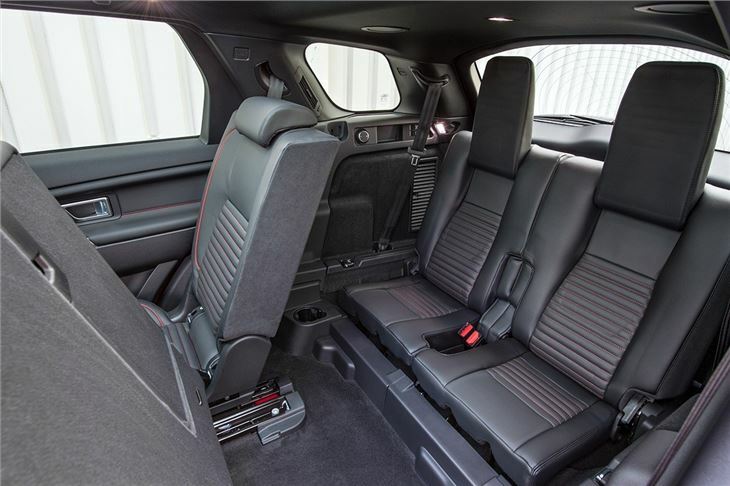 This means you can transform the SUV into a seven-seater, albeit it pretty cramped in the back. 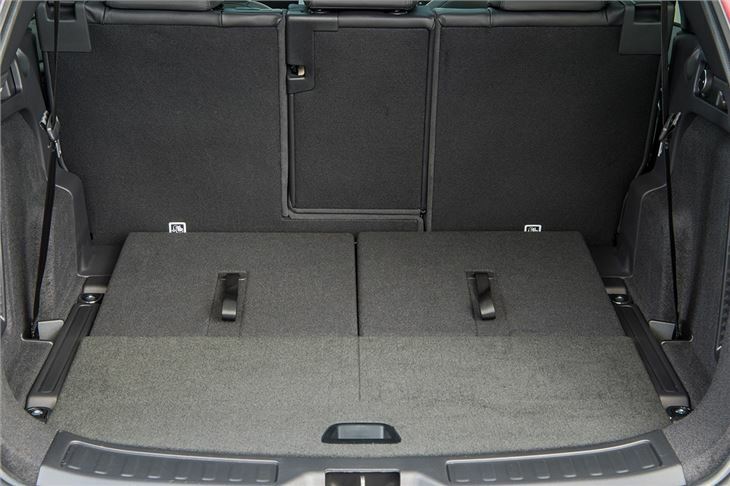 You also get acres of carrying space, with the third row folding away to provide 981 litres of boot space. That is almost twice the storage you get in an Audi Q5. 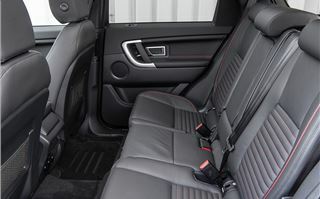 The Discovery Sport is also packed with kit as standard, with entry-level SE models featuring 18-inch alloy wheels, leather heated seats and two zone climate control. You also get rear parking sensors and cruise control, along with touchscreen infotainment and DAB audio. 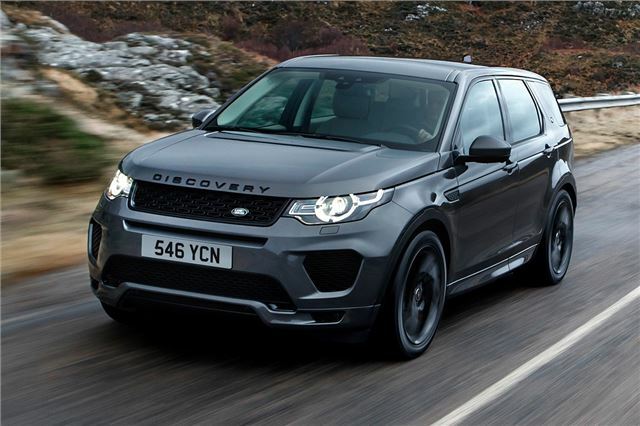 Clearly, putting a petrol engine into a two tonne SUV is an expensive business and there's no escaping the fact that the running costs of the Discovery Sport Si4 will be extremely high. For example, during our test drive, the 290PS engine struggled to exceed 22mpg in hilly and wintery conditions. As a result, owners will be on first name terms with the cashier at the local filling station. 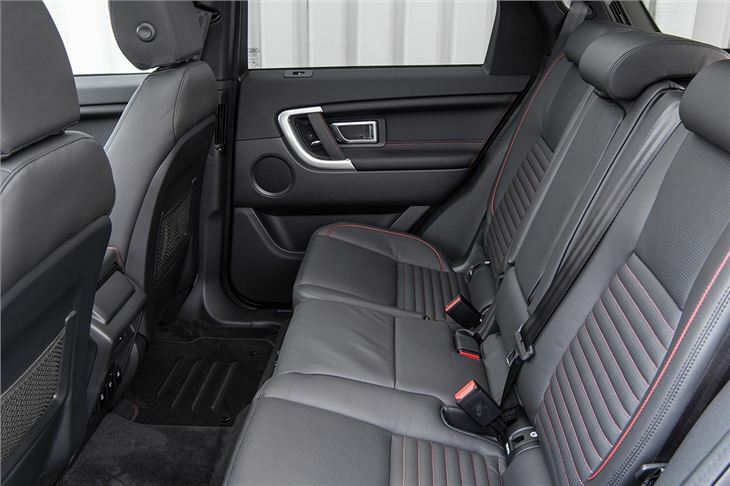 You'll also need deep pockets to buy the Discovery Sport Si4 petrol. The 290PS - which is only available in the range-topping HSE Dynamic Luxury trim - starts at £49,395 while the Si4 240PS will set you back £35,050 in SE spec. It could be argued that, if you don't need the towing capacity or boot space, a Lexus NX petrol hybrid would be better value with similar refinement and significantly lower fuel costs. That said, the Discovery Sport Si4 is an accomplished petrol SUV. It's superbly refined and wonderfully upmarket. It also has van-like practicality. 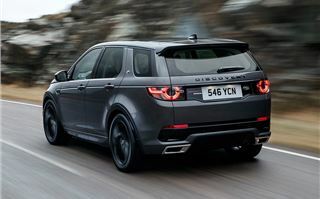 It's just a pity that it cannot escape the fact that it feels like an expensive stopgap, until Land Rover develops a petrol hybrid technology. The Land Rover Discovery Sport Si4 is available to order now.